One of the popular wedding bands in Dallas or all of DFW is the Jordan Kahn band or even the full orchestra. They can be booked through Absolute Entertainment or directly through the Jordan Kahn Music Company. 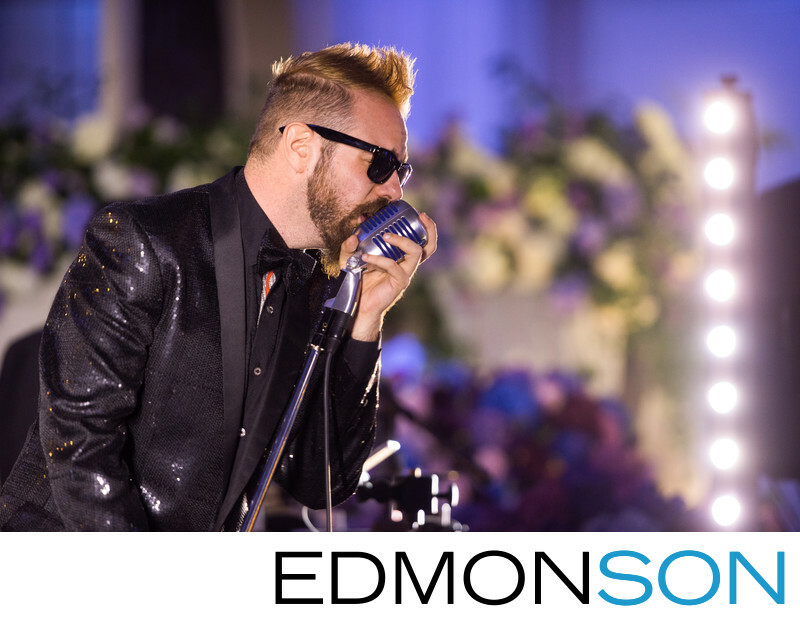 This wedding photo shows Jordan singing into his custom mic during a reception at the Adolphus Hotel in Dallas, TX. Find the Jordan Kahn band on the Absolute Entertainment website or call them at 844-800-7278. 1/100; f/2.8; ISO 1250; 180.0 mm.